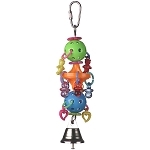 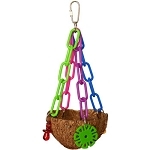 9.5 x 3.5 x 3 "
The colorful components suspended beneath a petite coconut half shell will delight your bird. 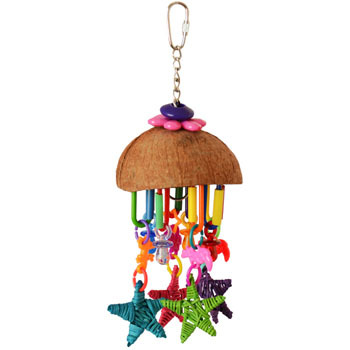 Tucked into the shell is a wooden block and a plastic disk from which hang dangling links, pacifier beads, animal beads and vine stars. 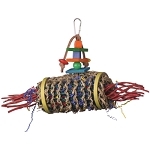 A bright flower and jumbo bead top off this fun toy. 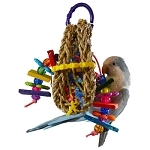 Lots of chewing and beaking fun!